Wileyfox has always been a brand linked to Cyanogen Inc., but it's still curious that now launched two new cell phones based on the Cyanogen operating system, considering that this fork of Android will never be developed more, according to the latest information to this respect. 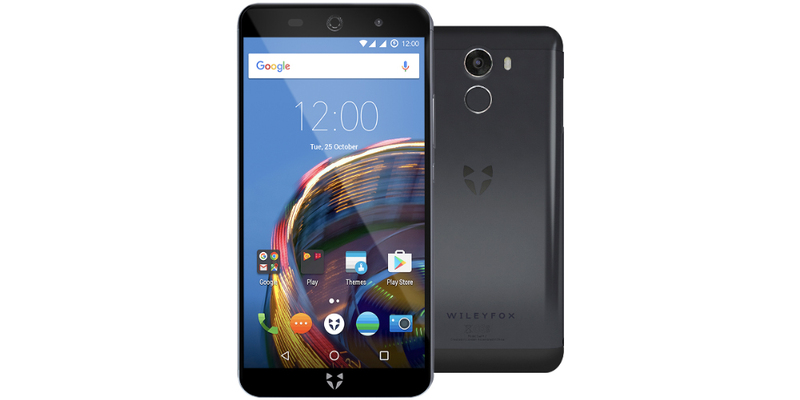 During the last hours, but without much noise, the British manufacturer Wileyfox has officially announced two new exciting smartphones: Wileyfox Swift 2 and Wileyfox Swift 2 Plus, in order to recover as quickly as possible lost ground after the presentation of the Spark series phones that so far received a number of sales below expectations. To be more specific, for the umpteenth time, the differentiating strength of the new Wileyfox devices is the use of Cyanogen operating system, version 13.1 based on Google Android 6.0.1 Marshmallow operating system. But the news does not end here, the British company has also promised that both cell phones will be updated soon to the new Android 7.0 Nougat. As regards for specs, in practice both are the same phone, also from an aesthetic point of view, with a slight increase in the amount of memory in Plus version versus normal variant. In both cases, a fingerprint reader on the back is present. As for the technical specs, starting with the Wileyfox Swift 2, we found a 5-inch screen with HD resolution, Qualcomm Snapdragon 430 processor associated with a RAM of 2 GB, 16 GB of internal memory, sensor with 13 megapixels by Samsung for the main camera and 8 megapixel camera on the front for selfies. Returning to Wileyfox Swift 2 Plus, it has the same basic specs, but offers a greater number of RAM, 3 GB, 32 GB of internal storage and a 16-megapixel main camera, in this case also by Samsung. Both devices are made of aircraft grade aluminum instead of classic plastic support, while the presence of a fingerprint reader, NFC connectivity and USB type C for charging the battery or connect to the computer are the other specs of interest. Finally, we can not forget the price. The Wileyfox Swift 2 costs £159.99 on Amazon UK, while the Wileyfox Swift 2 Plus costs £189.99 on Amazon. Fortunately for those users interested, you can buy the two devices, both on the official Wileyfox website as on the websites of Amazon (available in presale).